Reflective insulation systems are fabricated from aluminum foils with a variety of backings, such as kraft paper, plastic film, polyethylene bubbles, or cardboard. 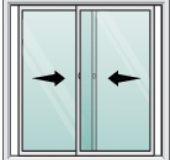 The resistance to heat flow depends on the heat flow direction. 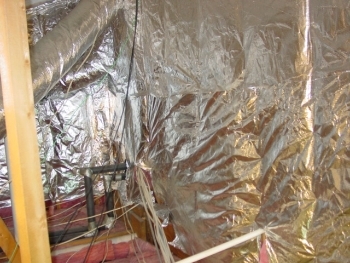 Reflective insulation is most effective at reducing downward heat flow. 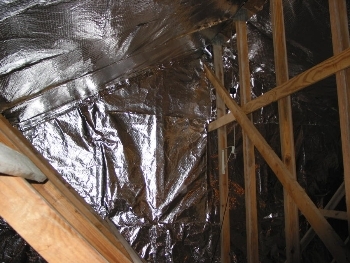 Reflective insulation systems are typically located between roof rafters, floor joists, or wall studs. 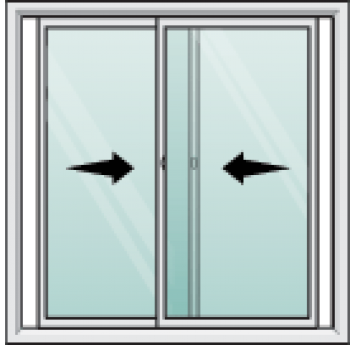 If a single reflective surface is used alone and faces an open space, such as an attic, it is called a radiant barrier. A typical application for this would be on knee-walls.